During a conference held on May 15, 2017, experts stated that the value of the Chinese market for flour-based foods is RMB 600 bln. Flour is an important food ingredient in China, both for the industry and the consumers. The nation currently consumes 70 mln mt of wheat flour per year. When I first came to China to study in 1975, flour and flour based products were still distributed using a system of coupons. When you bought biscuits in a shop, or ordered a bowl of dumplings in a restaurant, you were not only required to pay with cash, but also with grain coupons denominated in the weight of what you had purchased. Those days lie behind us and flour is now available in abundance. However, it is still regarded as a strategic product. This is reflected in the selection of flour as a key carrier of nutrients in the state sponsored public nutrition program. Look at the regional breakdown of the (wheat) flour production during the first 3 quarters of 2014, and the in- or decrease compared to the same period of 2013. The demand for flour has been decreasing steadily during the past few years. However, insiders name the gradual decrease of the population growth as the major factor behind this trend. They therefore expect that the demand for flour will start increasing again with the population growth that will be caused by the loosening of the family planning policy. 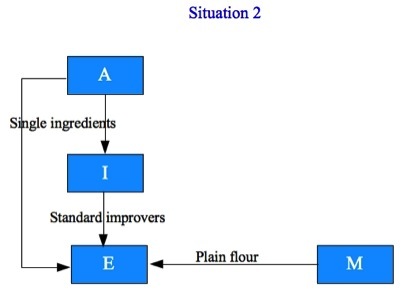 Formulated flours, i.e. flours specially formulated for a specific end-product like dumplings, fried dough sticks (youtiao), steamed bread (mantou), etc., are gaining popularity in China. This makes the country a market that suppliers of various flour ingredients cannot afford to ignore. Apart from enzymes, emulsifiers and other ingredients commonly used internationally, a number of vitamins and minerals are also allowed to be added to flour. 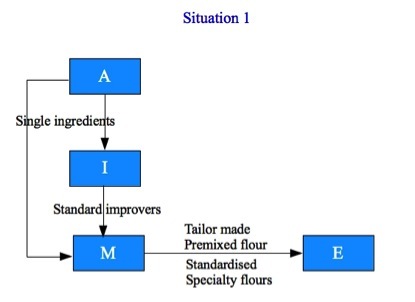 In situation 1, by far the most common chain, the flow ends at the end-users, that receive premixed flours, which contains various ingredients. The end-users only add yeast (when needed), and ingredients as required by their recipes. The end-users in this situation are typically smaller companies, producing more standard products, and consumers. The larger end-users prefer to assign the millers to produce tailor made premixes based on their own recipes. The top millers can also assist the end-users in optimizing their recipes. Small and most medium sized bakeries do not buy single ingredients. They buy flour improvers and selected the improver that suits each of their recipes best, usually by a trial-and-error. Small bakers are open to exchange their experience with flour improvers when they meet during conferences, trade fairs, etc., and nowadays also on the Internet in one of the numerous trade related chat rooms. In both situations, the improver manufacturers are the main target for suppliers of ingredients. Improver companies are usually established by scientist with specialist knowledge needed to select the ingredient for their flour improvers. Using this same knowledge and experience, they can help end-users optimizing their recipes. A very practical side of this is that it makes manufacturers of improvers relatively easy to talk with for suppliers in general and non-Chinese ones in particular. The second in line as target for suppliers of flour ingredients would be the top millers, with sufficient in-house R&D capabilities. Eurasia Consult’s database includes 641 producers of flour. I intend to highlight a number of Chinese regions and cities that stand out in the food and beverage industry. This post introduces Pu’er that has developed from a relatively unknown agricultural town to an international centre where a number of the world’s most popular beverages join to create great synergy. Pu’er, located in the border area of southwestern China, is an oasis on the Tropic of Cancer. Biological and cultural diversity are the most vivid characteristics of the region. Pu’er is a special kind of tea grown in southern Yunnan. It is widely believed in China that after a heavy meal, a cup of Pu’er tea will help to dissolve the grease and remove excessive fat from the body. In the Chinese imaginary, Pu’er tea often seems to be symbolic for the entire Chinese tea culture. Read more about this in my essay in Weber. This knowledge has seeped to the West as well. The Dutch drug store chain Kruidvat (owned by Hong Kong based A.S. Watson) sells Pu’er tea in convenient tea bags as a slimming agent. 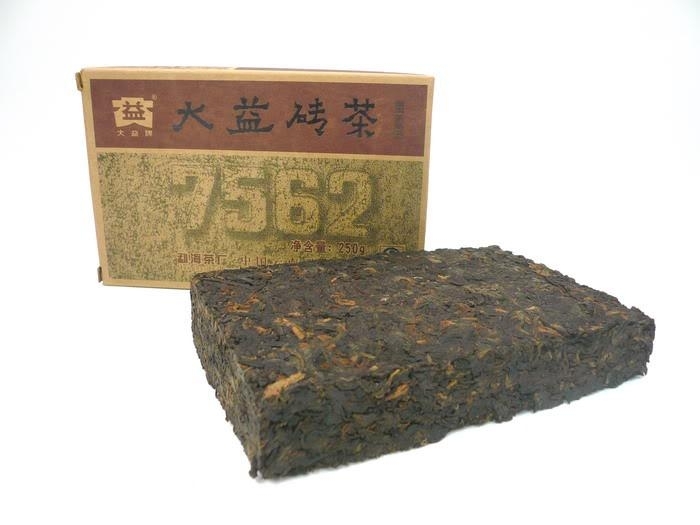 Pu’er tea is traditionally pressed into bricks. These are easy to transport and store for longer periods. In the old days, traders would sell the tea bricks in Tibet and Southeast Asia. There even was a special Tea-Horse Road, a kind of Silk Road for tea. 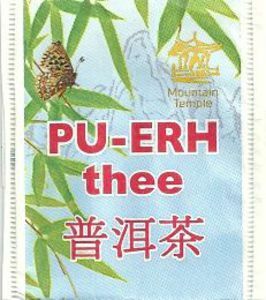 Nowadays, Pu’er tea is exported to all continents, generating more that USD 2 million in hard currency p.a. Pu’er tea is the typical tea used in producing chayedan, salty eggs cured in tea, one way in which eggs can be presereved in Chinese cuisine. With an output of 114,000 mt in 2014, Pu’er tea has become such an important product for its home region in southern Yunnan province, that the local government changed its original name Simao to Pu’er a few years ago. The latest indication that Pu’er tea has become a product of political importance is the disappearance of a famous Pu’er tea producer: Tai Junlin. He turned incommunicado in the fall of 2014, after being linked in the press to an ousted provincial leader suspected of corruption. While the bricks look mysterious and attractive to certain tourists and tea lovers, they are not convenient for world wide marketing. This is why Pu’er tea has also been made available in tea bags. Now traditional Chinese medicine company Tasly has taken the ambitious step of trying to make it “the third coffee” for people in the West. Tasly uses modern extraction processes to make highly purified Pu’er tea extract and completely remove any possible heavy metals, pesticide residues and foreign substances. Tasly intends to market its instant Pu’er tea as a functional supplement lowering lipid levels, helping weight loss and reducing blood pressure. See my essay in Weber – The Contemporary West for more about Pu’er tea as a cultural symbol. The local government has taken an even bolder step: not only marketing Pu’er tea as a substitute for coffee, but developing the real product. Yunnan is one of China’s earliest coffee producing regions. A French priest brought a coffee sprout into what is now Zhu Ku La village, Binchuan District, Dali City, Yunnan. This small sprout rooted itself deep into the local soil, and this century old coffee tree is said to still stand tall today. Yunnan grows a variety of coffees, including Arabica Catimor, Typica, and Bourbon. The unique combination of high elevation and differences between the temperature during the night and day creates the original character of Yunnan coffee – “Fruity fragrance, rich but not bitter, and aromatic but not overwhelming”, reflecting the beauty of the Yunnan. The statistics from the provincial Department of Agriculture in 2012 state that the total coffee growing area is 89,333 hectares, with a total production of 82,000 mt. Yunnan is good for 98% of China’s coffee production. The government of Pu’er has had the foresight to recognize the potential synergy that can be generated by growing both in their home region. In 2012, Pu’er had a total of 43,333 hectares planted with coffee, producing 36,500 mt of coffee of which 24,700 mt were exported. The export earnings from coffee in 2015 reached USD 400 mln. There are 70 registered businesses, and around 1 million people in Pu’er’s coffee industry. The objective is to reach 1 mln mt by 2016. Hogood Coffee Co., for example, has become the largest instant coffee producer in China with an annual output of 13,000 mt. Hogood does not stop with coffee alone. The company’s R&D department announced that it has developed an alternative, healthier, vegetable fat: freeze dried waltnut protein, branded Waltnut 007. This could become a functional ingredient for the next generation of coffee creamers. Recently, another 611 coffee famers and coffee growing companies in Yunnan have passed international third-party verification, allowing them to sell 4C (Common Code for the Coffee Community) Compliant Coffee. This is the third batch of coffee suppliers that have passed the verification process since July 2013. Netherlands-based UTZ is also working with tea and coffee organizations in the region. Li Gongqin, secretary general of the Coffee Association of Yunnan, says farmers are receiving more training and that working with UTZ will help them with profits and standards. The State Quality Inspection Bureau officially opened a Coffee Inspection Lab in Pu’er in December 2014. The main task of this organisation is to ensure that coffee exported from the region is in accordance with international quality specifications. In the course of 2015, the price of coffee has been decreasing to a level that is felt threatening my most players in Yunnan. Insiders ascribe the problem to the fact that anyone can buy coffee strait from the farmers in Yunnan, while other coffee regions in the world use a system of central purchasing and sell the coffee though the commodity exchange. 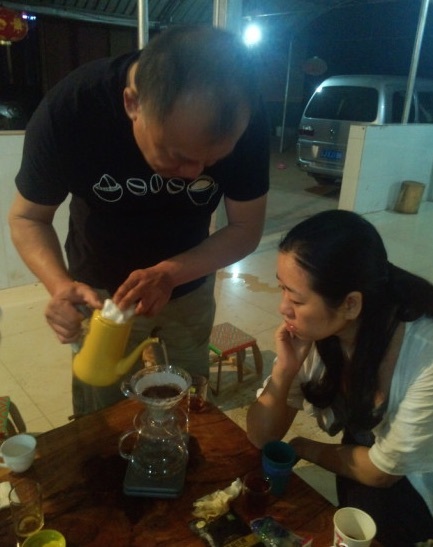 The CEO of Hogood Coffee has proposed a similar system for Yunnan. Another recent development is that the coffee industry in the Pu’er region is becoming a more and more popular holiday destination for domestic tourists; yet another way to cash in on coffee. The local coffee people have arranged for the tourists to experience ‘traditional’ ways of brewing coffee like using filters or even percolators. The 4th Coffee Culture Festival will be held in Dehong, Yunnan, January 23 – 25, 2015. The culture week series activities will include the China final of the third Syphon Competition, the Pu’er Green Coffee Competition, the Pu’er Coffee Summit Forum and the third Pue’r Coffee Exhibition. The government of Pu’er is further organising a National Coffee Making Contest in January 2015, with regional contests in several cities and the Grand Final in Pu’er. Coffee in Yunnan has even become an occasion to help fight drug trafficking through China, and create new business opportunities. Changshengda Investment Co. based in the Kunming Hi-Tech Zone supports its neighbor Laos to cultivate coffee instead of opium poppies, lifting more than 6000 peasant households out of poverty and contributing to the stability in borderland. This development has caught the attention of a number of international players in the coffee business. Starbucks that has been using Yunnan coffee in its Asian outlets for a few years. The company established a Farmer Support Centre in Pu’er in 2012. It cooperates with the Yunnan Academy of Agricultural Science. Earlier that year, Starbucks had set up a joint venture with Yunnan based Yunnan Aini Agriculture Livestock Group (the producer of the Sunlight brand coffee) for processing up to 20,000 mt of green coffee beans p.a. Have a look at this Aini commercial. Since Starbucks entered Yunnan, it has been encouraging its local suppliers to follow CAFE practices. The company publicly stated in 2008 that it hoped to source 100% of its coffee through CAFE, Fairtrade or another externally audited system by 2015. In 2014, 96% of its coffee met this standard, with 95.5% through CAFE and 8.6% through Fairtrade. Nestlé, which has been active in the region since the 1980s, has also announced it is expanding its operations in the province. The company has signed a memorandum of understanding with the prefectural government pledging to invest RMB 100 million to build a coffee farming institute in Pu’er. The planned Nescafé Coffee Centre will have warehouses, laboratories and education facilities. According to a press release announcing the memorandum, Nestlé plans to train 5000 coffee farmers, agronomists and business professionals at the center each year. Over the past several years the Nestlé has steadily increased its purchase of Yunnan coffee and last year bought more than 10 000 mt of beans. This accounted for 20% of the province’s total coffee production. 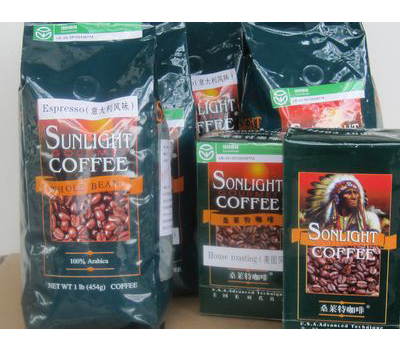 The company has said it has plans to double coffee procurement in Yunnan over the next two years. 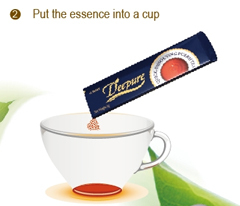 Nestlé has made a new coffee capsule from Yunnan Arabica beans for its Dolce Gusto coffee machine. It hasn’t been on the market for long, but so far 70 countries where they sell the capsules seem to be happy with it. Nestlé has signed an agreement with fertiliser producer China Green Agriculture to supply fertiliser to local coffee bean farmers. The company has also introduced 4C in the region. Nestlé has set up a scholarship program in Yunnan since 2013, which is open to outstanding students from families of coffee farmers who are registered under Nestlé Agricultural Services Department. The program encourages the students to pursue a high-level professional education and also rewards farmers for their contribution in the development of the local coffee industry. All scholarships are fully funded by Nestlé, and are selected based on an open, transparent and merit-based process, under the supervision and guidance of the Puer City’s Committee for the Wellbeing of the Youth and jointly implemented by China Women’s Development Foundation, Puer City’s Women’s Development Foundation and Nestlé China. KunMing Jiesi Trade Co., Ltd., in Kunming (the capital of Yunnan) – exclusive distributor and exporter of ManLao River coffee. JS Catalyst, Inc. , DBA ManLao River Coffee Company USA – exclusive US distributor. Yunnan Pu’er ManLao River Agricultural Development Co., Ltd – the original ManLao River plantation continuing the initiatives of poverty alleviation and organic/sustainable farming. The company provides educational, sales and facilities support to its 3,000 employed farmers. ManLao River produces roughly 500 mt of coffee annually, a number that is not intended to grow significantly over the next five years as it looks to increase quality over quantity. At a signing ceremony in Pu’er on 22 October 2014, Volcafe and Simao Arabicasm Coffee Company (SACCO) signed an agreement to establish a joint venture to be called Yunnan Volcafe Ltd. The new company will be majority owned by Volcafe. It will procure and process green beans from the expanding Chinese coffee-producing region of Yunnan, for export to Volcafe’s worldwide client base. “Chinese mild Arabica is still relatively new to the world coffee scene, but its improving consistency means it is rapidly growing in acceptance with global roasters,” said Jan Kees van der Wild, Global Head of Commodities at Volcafe’s parent company ED&F Man. “The new company will harness Volcafe’s expertise in managing sustainable supply chains and improving quality control and post-harvest practices. Simao Arabicasm Coffee Company has been active in coffee export from the region for over a decade, and its operating activities include coffee cultivation, processing, procurement, sales and export. Currently, the company has established a production line with annual processing capacity of 10,000 mt of green coffee in Pu’er Industrial Zone. Presently, SACCO has been consistently ranked as the top 5 exporters in Pu’er, and has been recognized as one of the leading enterprises in Yunnan coffee industry. Pu’er has recently started to export coffee to Europe by train via the Chongqing Commodity Exchange. A major problem for Yunnan’s foreign trade is that it is a land-locked region. By first transporting the coffee to Chongqing, it can use the so called New Eurasia Land Bridge, a rail link between the Chinese east coast and major industrial centres in Europe. This also fits in with the recent ‘One Belt and One Road’ initiative of the Chinese government for international economic development. Pu’er expects to dispatch 30,000 – 50,000 mt of coffee this way within 2015. This volume may grow to 100,00 – 150,000 mt in 2016, and 230,000 – 250,000 mt in 2017. Yet another way in which the city government is trying to diversify the local economy based on the traditional Pu’er tea is linking it with Bordeaux wine. The City of Pu’er has signed a trade agreement with the city of Libourne in Bordeaux to promote each other’s products in 2012. Libourne is the closest city to the Pomerol and Saint Emilion vineyards. Two Chinese delegations have visited Libourne since the accord was signed, while the mayor of Libourne and the presidents of the local wine syndicates have been to Yunnan to learn about tea culture. The related Press Release confirms that this marriage between tea and wine is taken seriously. There are many similarities between the two products. Pu’er tea is harvested by hand each year, is labelled with a vintage, and can be aged for up to 50 years. The finest teas can reach prices as high as the best wines of Pomerol and Saint Emilion. Its taste is affected by the soil it is grown in, and the weather conditions during the year of harvest. Tea can also be fermented, with bacteria converting bitter tastes to softer, rounder flavours, a process similar to malolactic fermentation in wine. Pu’er tea is rich in polyphenols, and is said to have health benefits in much the same way as the French Paradox is linked to polyphenols in wine. Rice wine is the oldest alcoholic beverage in China and therefore probably one of the oldest in history. Chinese records mention a gift of rice wine to an emperor as early as 4000 years ago, and up to the 15th Century, rice wine was still the main alcoholic drink in China. Rice wine is also using in cooking. Using wine for the blending of flavour is also a great invention of Chinese cuisine. Wine not only kills the rank stench of fish and meats, it can also produce a real appetizing aroma. When making stir-fries, adding a little cooking wine can bring out the delicious aroma of the food within the evaporating wine; the texture of the meat is melt-in-your-mouth tenderness. The traditional production process was cumbersome. The yield of wine from raw materials was relatively low and it was difficult to obtain a clear liquid. Until far in the 20th Century, rice wine was known as a sweet brownish red turbid liquid, hence the Chinese name huangjiu, ‘brown wine’. It was consumed like the Japanese sake: heated au bain marie. 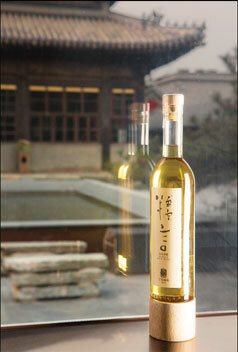 There also is a transparent white rice wine produced from glutinous rice called mijiu (literall: ‘rice wine’). 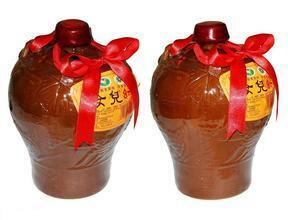 It was brewed and sold in ceramic pots, even long after glass bottles had been introduced in China. Such packaging hides the turbidity. A glass bottle with a turbid liquid, or with a layer of sediment at the bottom, is does not look good on the shelves of a wine shop. Here is a video introducing the production process. It is part of a course in Chinese, so it teaches you a number of relevant expressions while enjoying the brewing process. Rice wine is used as an ingredient in various traditional foods, like fermented beancurd or furu. In the course of the past century, traditional Chinese distilled liquor, baijiu, started to lure away a considerable part of the traditional consumers of rice wine. On the other hand, foreign beverages like beer and wine started to be produced in China as well. These initiatives were first made by foreign investors for the expatriate community, but the more affluent Chinese consumers started drinking them too, to show that they were adopting a Western life style. Rice wine remained an important drink only in the Yangtze River Delta, roughly the triangle formed by the three major cities in that region: Shanghai, Nanjing and Hangzhou. It has been made famous by the writer Lu Xun (1881 – 1936) in his short story Kong Yiji. That story positions rice wine as the drink for workers and elderly men. Our blog on China’s top food brands of 2014 shows that those brands include a number of distillers brewers and wineries, but no rice wine brands. While rice wine had been almost completely written off by the Chinese alcoholic beverage industry, the product suddenly started a revival in the late 1990s. A number of the traditional brands began modernising the production process to make rice wine that appealed more to the modern consumers: a clear wine that was more thoroughly fermented and therefore had a fresher taste. This fresher product could also be drunk at room temperature. The China Institute of Food Science & Technology has established a special branch for rice wine on March 18, 2014. This should be seen as an important step further in the modernisation of this traditional beverage. New producers sprung up in various parts of China. One even launched a ‘dry rice wine’. Sanyou Group (Heyuan, Guangdong) has started the construction of a new rice wine plant with an official ceremony early December 2014. Heyuan is located in the heartland of the Hakka people and Sanyou intends to embed this new plant in the traditional Hakka culture to create a unique image for its rice wine. Young Chinese consumers have been rediscovering rice wine during recent years, though they seem to prefer the transparent mijiu. The best-selling brand in this segment is Huatian Xiangzi. Huatian Xiangzi was founded in 2013 by Fan Yu of Xi’an, after spending several years trying to come up with an ideally flavoured rice wine. It sells well on Taobao; the value of those sales on the platform was RMB 5 mln last year Apart from selling Huatian Xiangzi online, Fan says, he is selling it to outlets of the Metro chain all over China. Another favourite rice wine brand is Nuoyan, founded in 2014 by Huang Yu, a winemaker and designer. It comes in original and sparkling versions. After 3 years’ development, Huang has created 13 rice wines and a boutique winery in Fujian province, together with two wine shops in Beijing. His aim is to redefine Chinese rice wine and he has poured more than RMB 10 mln into developing rice wine products, each taking him an average of three years. He believes that Chinese wine should have a new representative, and rice wine should be it. The Chinese armed forces include about 2.3 million military personnel. Moreover, as the army is a regular Chinese employer, it is responsible for the livelihood the entire household of its officers and civilian employees. This means that the Chinese armed forces are facing the burden of feeding 5 – 6 million mouths. Even when we restrict our attention to food for combatants, this group of consumers constitutes a complete market by itself. The total budget of the Chinese army was RMB 720.2 billion in 2013. As reported earlier in this blog, medicinal functionality and nutrition have always been overlapping realms in Chinese culture, including in the design of combat foods. Modern food technology now adds the availability of functional ingredients and combining these with traditional Chinese medicine (TCM) creates and interesting challenge as well as opportunities for the suppliers of food ingredients. The food needs to easy to digest, cure indigestion and ensure a maximum bioavailability of the nutrients. Soldiers in combat can not always eat their meals regularly. Their food must be high in energy and release that energy slowly, to allow for long breaks between meals. One of the current research programs of the Military Provision Research Institute is the addition of soy bean oligopeptides in military food to combat fatigue. Soldiers need to be operative under any type of climatic conditions, from the humid heat of the tropics to severe cold, or at high altitudes with less oxygen. Chinese soldiers do not need to be sent abroad to experience all these climatic extremes. China comprises virtually all types of climates in the world within its national borders. Different foods need to be designed for different environments. 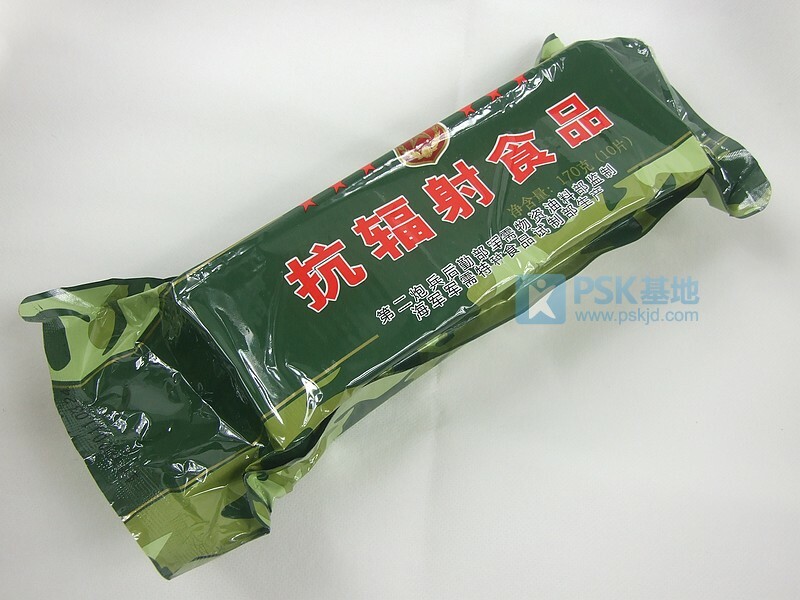 A military college has developed a type of biscuit that can increase the consumers’ oxygen level and alleviate fatigue for 48 hours. The recipe includes a number of TCM herbs. The food needs to enhance the immune system of soldiers and protect against diarrhea and perhaps even diseases like influenza. This is where TCM is believed to be especially useful as a source of new military foods. There is ongoing research into food ingredients that make people more resistant against radiation during nuclear warfare. E.g., seaweed is being studied as a source of ingredients for anti-radiation foods and beverages. 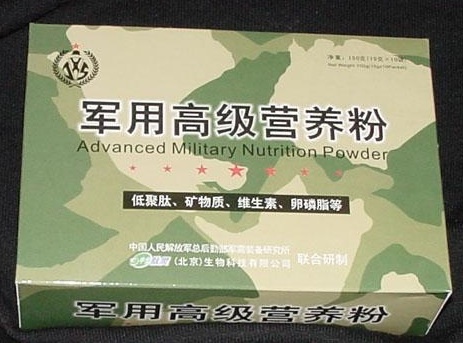 The picture shows an example of existing ‘antiradiation food’ developed by the Chinese army that is also sold to the general public. The interest among such products has increased after the problems with the Fukushima nuclear plant in Japan. Chinese are finicky eaters and the military are no exception. Chinese are happy that modern technology reduces the time needed for the preparation of meals in the kitchen or the battle field, but that food must still retain its traditional texture, colour, flavour, etc. This picture shows a complete meal packed in plastic, which might as well have been purchased at a regular supermarket. Some insiders even remark that military convenience food in China is better developed that what is currently sold as ‘Chinese’ fast food, which still finds it hard to compete with multinationals like McDonalds and KFC. They therefore urge the military food industry to expand its business scope to civilians as well. Chinese military industry has always been known as technologically more advanced than average with a high concern for quality. If the military food manufacturers will pay attention to this call and start making consumer products as well, they may turn out to be tough competition of the existing industry. 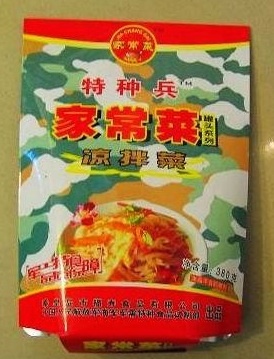 On the other hand, several civilian food companies are trying their hand in feeding Chinese military. An example is China’s top producer of snack foods Sanquan, that is mentioned in several other items in this blog: the quick frozen tradition and China’s top food brands. Here is a video showing how to open and prepare a complete Chinese army meal. It is rather lengthy, but at least you will get a good look.